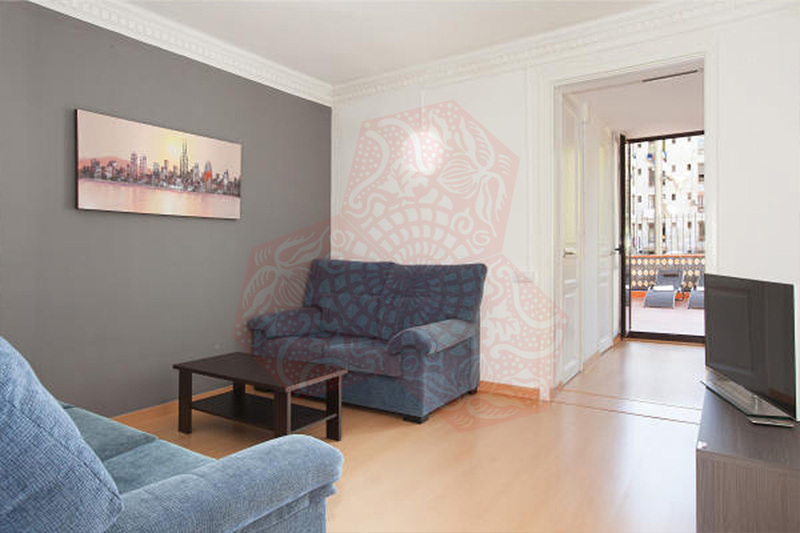 Use the form below to contact accommodation BCN AB 5P MARINA APARTMENTS directly. 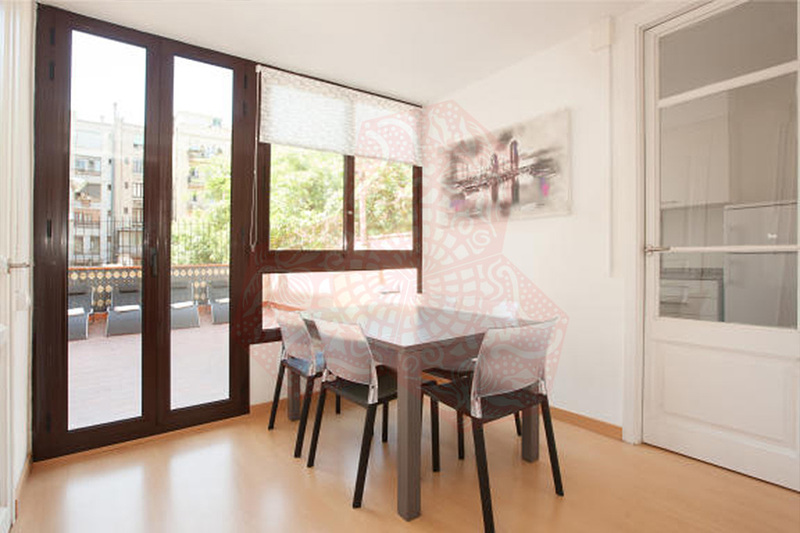 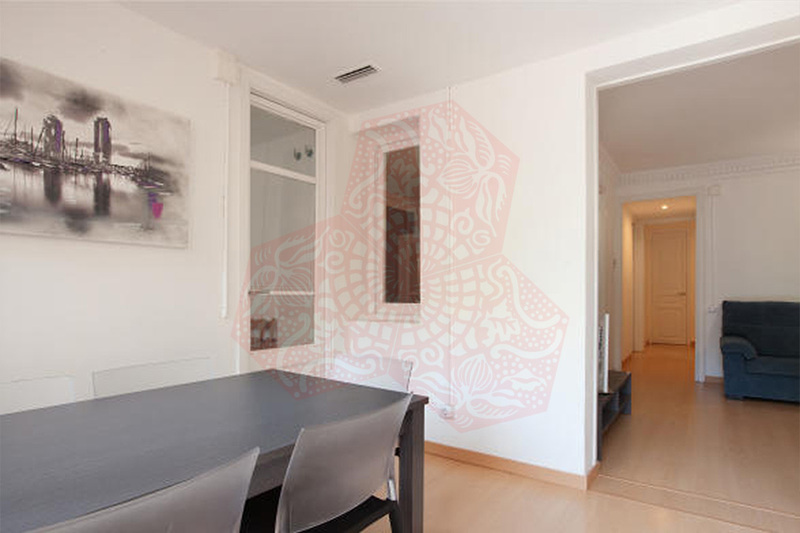 This fantastic four bedroom apartment holds up to eight people and is located in the beautiful area of Eixample, a modern area of Barcelona with fantastic architecture. 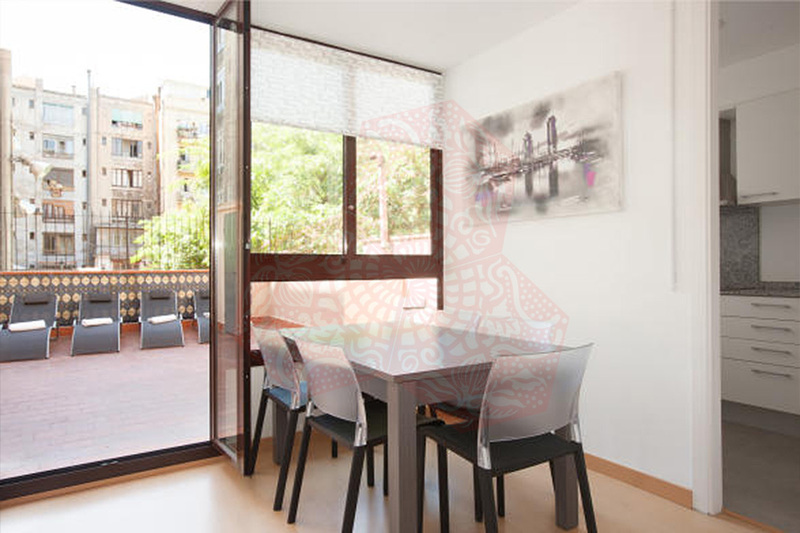 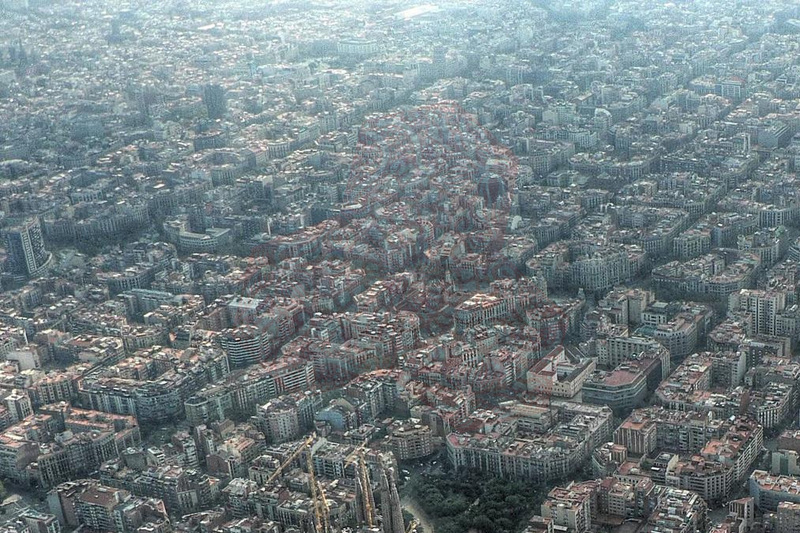 You will find plenty of restaurants, bars and cafés nearby as well as the famous Sagrada Familia church and “Glories” shopping center all just a short stroll away from the apartment. 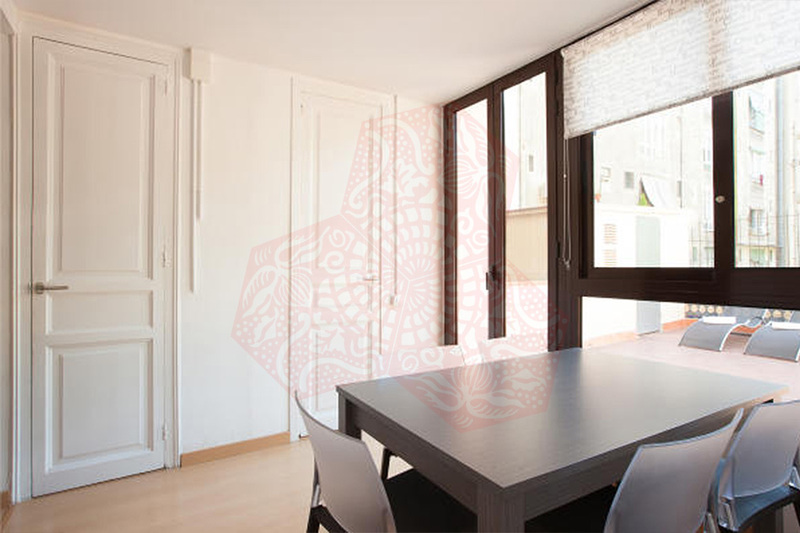 You can reach all other touristic attractions of Barcelona easily, thanks to a convenient metro station just outside the building. 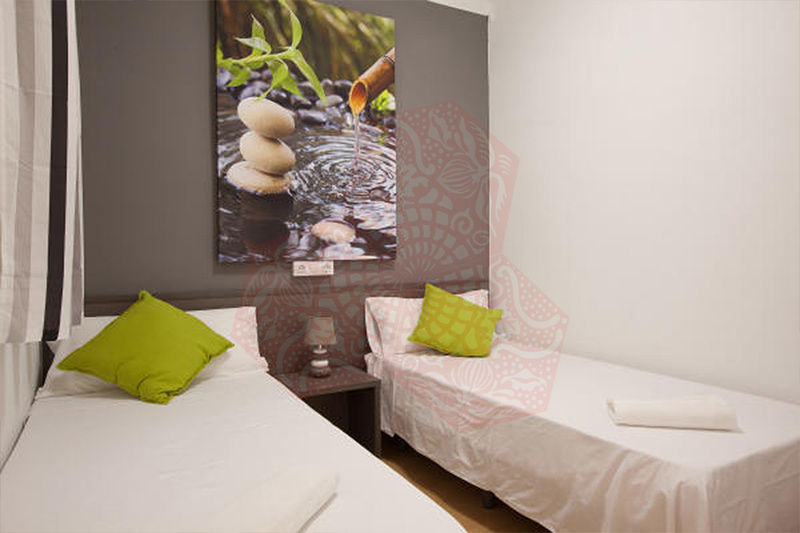 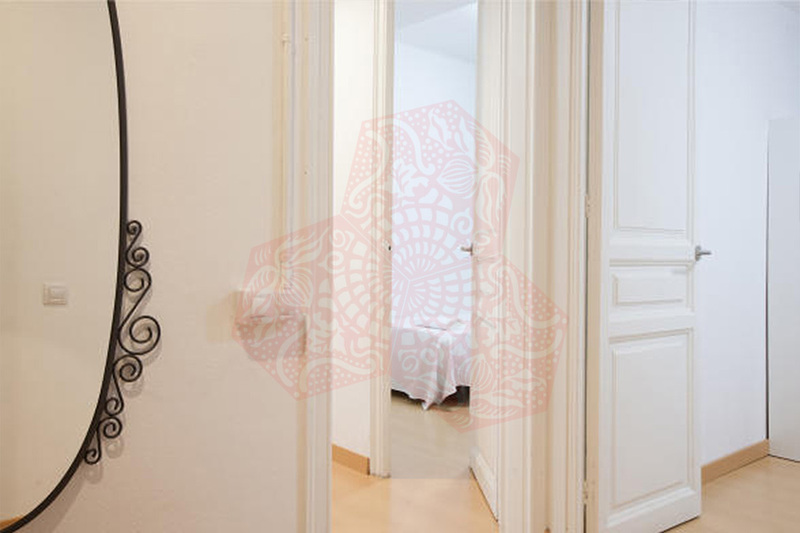 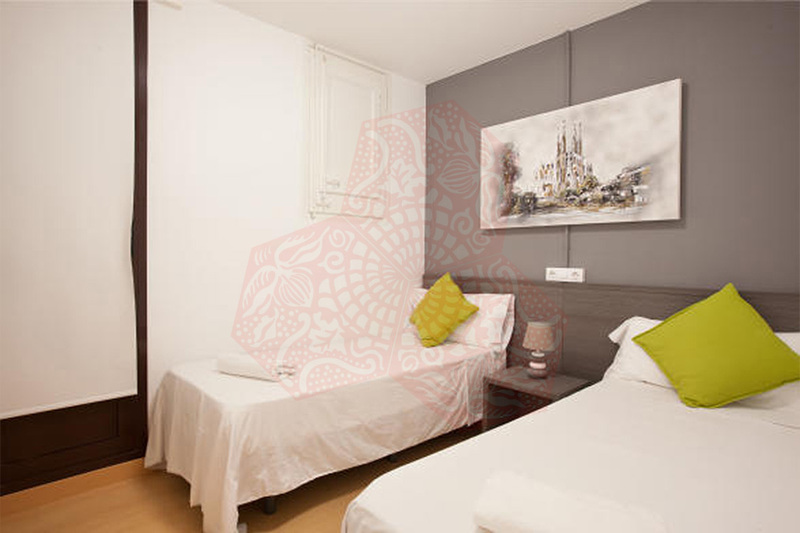 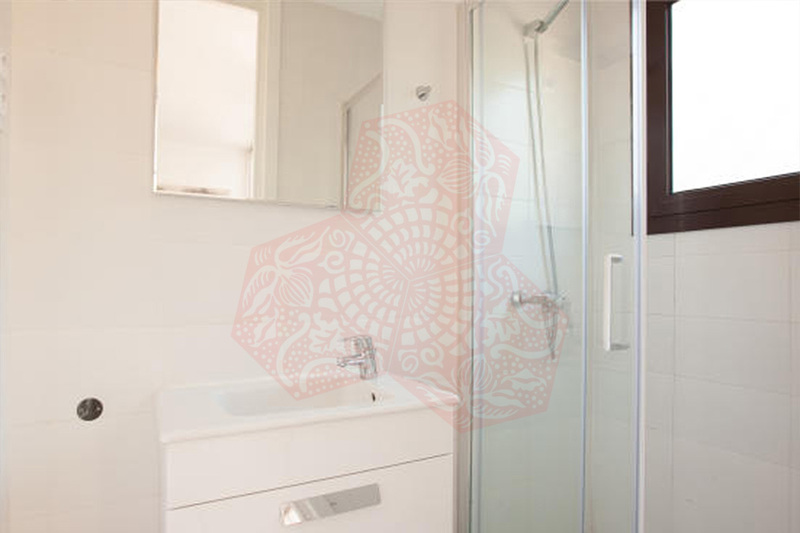 The apartments is modern with 4 bedrooms, in which 8 single beds are distributed throughout allowing you to adapt the rooms into either doubles or twins dependent on preference: all in all eight people can be accommodated comfortably in the apartment. 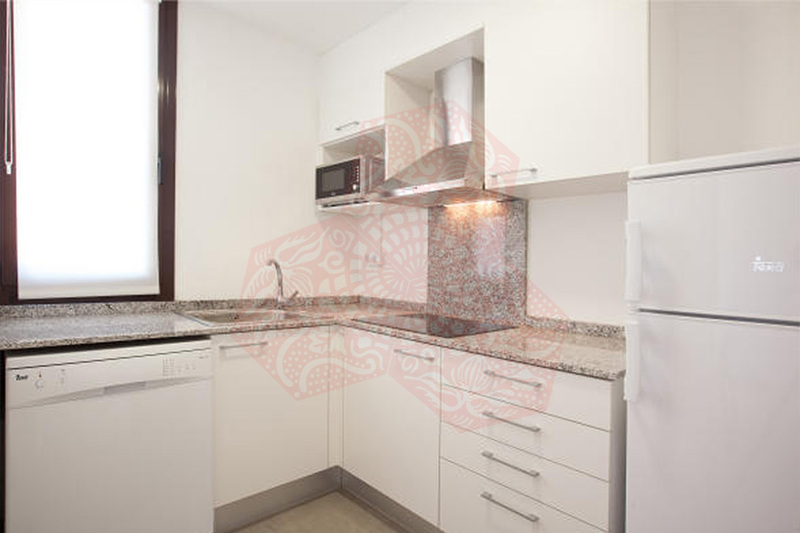 It has a fully equipped kitchen with all the utensils you need to make yourself feel at home. 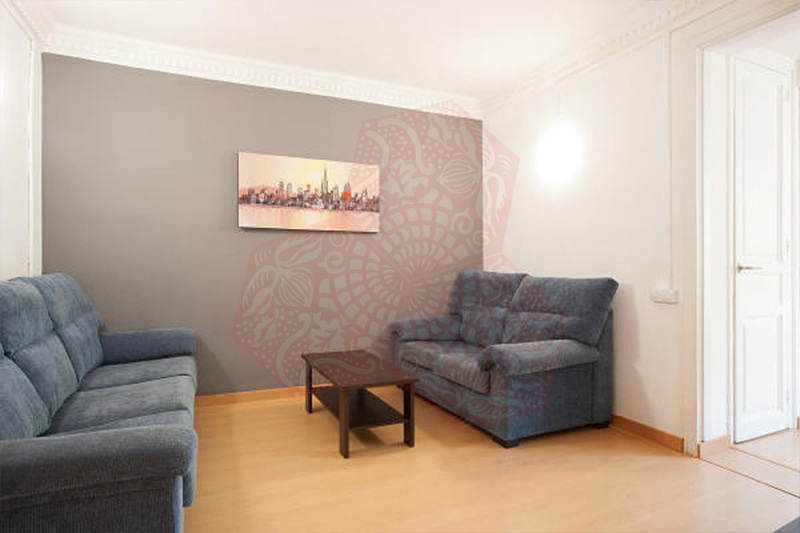 The living room comes with a TV and a large sofa, perfect for an evening of relaxation after a long day in the city. 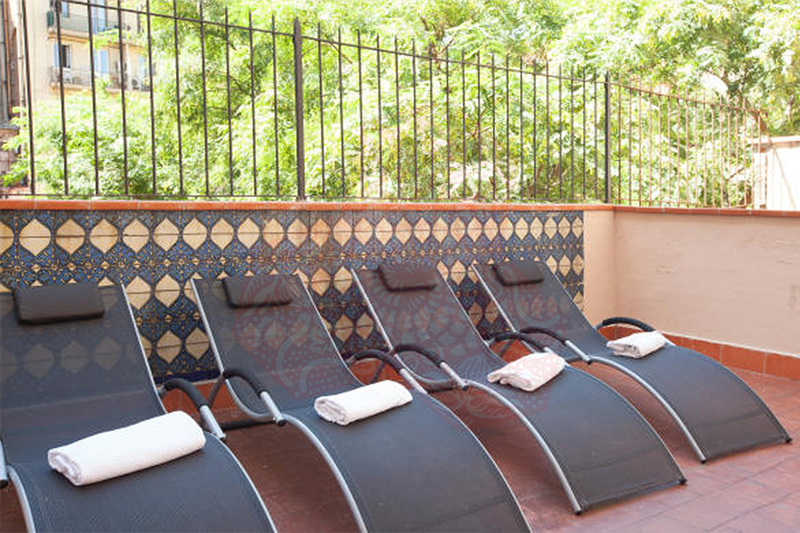 This apartment also benefits from an amazing private terrace with sun loungers. 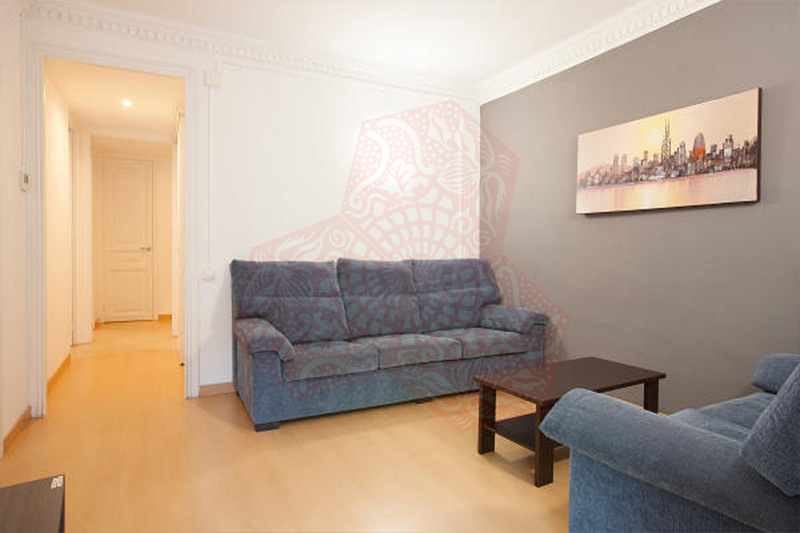 Due to a perfect location, a metro station just outside and great facilities, this apartment is the ideal base for your stay in Barcelona. 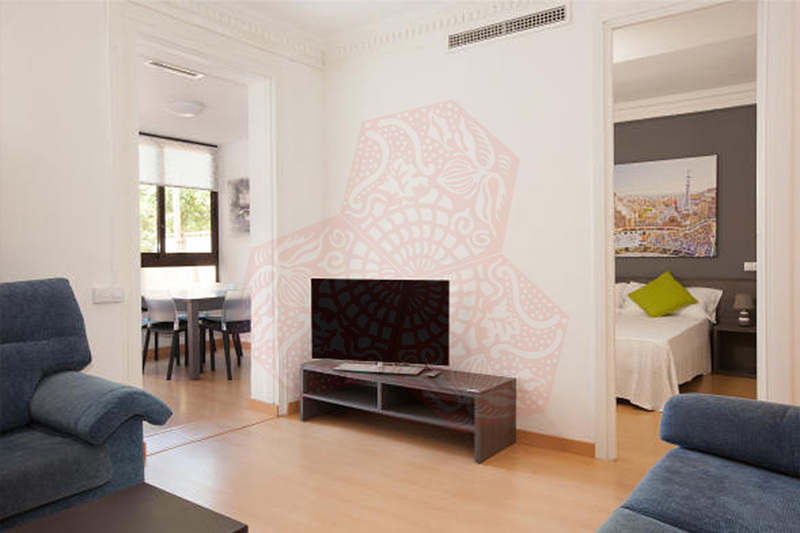 BCN AB 5P MARINA APARTMENTS has air conditioning and heaters throughout as well as free WiFi.